"Transitioned to this wallet. So far so good. Looks nice and very convenient. " "I was searching for a new, slimmer wallet for months. After shopping around, I finally pulled the trigger on this one and I couldn't be happier with it. " 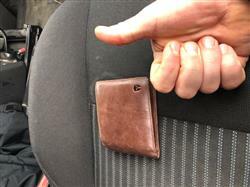 "This wallet is the best wallet I have owned. It is over 6 months old and still looks new. I will definitely purchase all my wallets from your company." 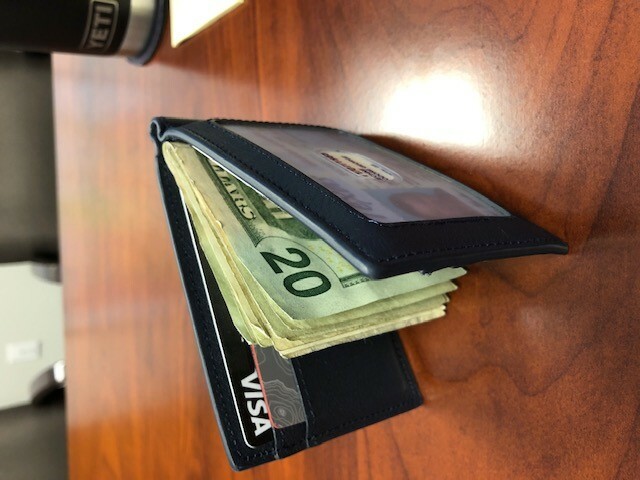 "excellent wallet best wallet I have ever owned high quality excellent leather very durable not too thick not too heavy not too bulky"
"So far this has been a great little wallet. I don't have any complaints at this point. I have only had it for a couple weeks by do far so good!" "I love this wallet. Well made, lots of places fit cards. " "I read about the wallets and did some research on my own. I decided to purchase one of the wallets and spoke with the Customer Service Rep’s and was simply amazed. Not only were they very understanding and was so quick in responding. Within 2 days of speaking with the Rep, I made another purchase, this time a minimalist. I can tell you this, I will not purchase another wallet from anywhere also. They also support and honor the US Military and Veterans. You won’t be disappointed Jimmy Bailey "
"Great, I love the thickness and the zipper compartment." "So far, So good! I’m really happy with my Minimalist 2.0. It functions well and is constructed good too. Very happy with this product!" "Works great. Excellent craftsmanship "
"Very happy with my purchase. I had to get another clip for my wallet because I broke the original messing around with it! Long story... Product arrived promptly. Packaged very well." "I have been looking for a slim front packet billfold. I think I have found the one. It will protect my cash, and I will still have easy access to my cards and I’d. Looking forward to using it. " "I ordered my Bryker Hyde wallet online...First-the packaging was ore than impressive!!! Second - the wallet itself is of the best quality!!! Third- the sleek size and look is over the top!!! I love this wallet- it is one of many that I have but is by far my favorite... My friends ask what kind of wallet is that?- where did you get it?- I am always glad to share it is a Bryker Hyde! So happy I bought this wallet - I will be back to buy another for myself and as a gift for friends. Thank you John"
"I love how roomy this wallet is and the brightness of the color. Very pleased and would definitely recommend this product." "Perfect fit for front pocket, everything fits inside. Soft texture. Love this wallet. " "I collect minimalist wallets and have to say this is a well made product. Lots of pockets. Card sleeves on outside can hold two cards each well. I don’t need that much space, but it is possible to do that. Money clip works well. I don’t really carry cash but when I have it, it holds well. It’s my current everyday wallet and I am glad I bought it. Cheap as well for the awesome product. I would buy it again. " "Bought this as a gift for valentine's. Partner loves it. It is slim and lightweight. Practical design, great quality. " "Beautiful product, will definitely remain a customer"
"Love my wallet. Great wallet and good quality "
"Love the feel of it! Really nice leather mixed with rigidity for a slim and packed wallet! Easy access and the colore is very nice. " "I was looking for high quality low bulk and this wallet is all of that and fits in 4 cards, door card, money and 2 ID perfectly. Great good looking wallet. " "1. It came on time! 2. Bryker Hyde does an amazing job when packaging their products. Very fancy! 3. The price is very reasonable. 4. The quality of the product blew me away. 5. Great way to support veterans, with there $1 pledge for every item they sell." "Exactly what I was looking for! Pockets are a little tight but im sure that wont be a problem after a little wear. All around good wallet." "a hiccup early on , but a quick resolution and a good experience and a good product"
"This wallet is great. Plenty of space for everything you need. Low profile, I can barely feel it in my pocket when sitting or walking. Bryker Hyde is my new go to place for wallets." "Fits perfect, holds everything, great craftsmanship, good feel." "Product is very nice. Ordered product and it came in right away. Very pleased with the leather and I won’t be buying any other brand of wallet again. Will be recommending wallet to others "
"To no fault of yours I wish I'd bought the one where cards go in horizontal. Bill slot on the one I got is just long enough to fit a bill in. If you have a lot of bills they won't fit, especially when you close it. Other style is better for a lot of cash." "My experience was phenomenal! First off, after placing my order in December as an intended Christmas present for my hubby, the delivered package was unfortunately stolen from my doorstep before I could receive it. After explaining the situation to Bryker Hyde, they were generous enough to send me another to my work address-free of charge, which eventually arrived safely. Luke, the representative I was working with, truly went above and beyond to work with the post office and ensure that I was able to eventually receive my husband's Christmas gift. He was overjoyed to receive his new wallet, LOVED they gray color, and says the smaller size and RFID blocking tech was exactly what he was looking for. Thank you BH for helping me to secure a great product for my husband!"